I first met Willi Kriessmann in the Spring of 2008 in the discussion forum of the German World Alliance and found him to be absolutely charming and sincere. Also modest. When I expressed excited interest in knowing more about someone who said he had seen Adolf Hitler in person, looked into his eyes and formed a good impression, he mailed me his recently completed,“Life of WLK.” It was 34 pages, spiral bound, with added picture pages and a cover designed by Willi himself in his own inimitable way. I was thrilled by it and. after reading it, asked him if he minded if I edited it to be more reader-friendly for English readers. His answer: “No, of course not, I would appreciate it.” I assured him I would stay totally faithful to what he had written and he assured me in return he didn't doubt that for a minute. Over the period of time that I worked on it (and I always had to check that I was staying true to his intention), we naturally corresponded via email quite a lot. That began our deeper friendship. When Willi described to me a passage in Hermann Giesler's book Ein Anderer Hitler that related to art and architecture, I asked him to translate it for me. [By the way, Willi had a strong background as an art connoisseur, purchased artists' work, and always visited art galleries and museums.] He then told me about an entire chapter in Giesler's book titled “Adolf Hitler in Paris” and we decided to translate that chapter – he doing the translating, of course, and me not being able to stop from editing for the same reasons I edited his life story. But not necessarily as two separate activities; in this case, we had to work together on getting the English to convey the true meaning of the German. We were pretty far along in completing it when I got the idea to submit it to The Barnes Review magazine. It was an exciting moment when our terms on publishing were accepted by Willis Carto but, because Willi traveled to Austria and other European locations every year, he decided to use the name Mann instead of Kriessmann for himself. 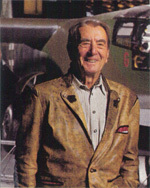 Though such a prominent person as Alfred de Zayas advised Willi that just translating a book about Hitler (that was not even outlawed in Austria) could be a problem for an Austrian citizen (as Willi always remained) when traveling there, Willi felt strongly about making Giesler's one-on-one experiences with Hitler available to more readers and historians. Our translations were the first English translations of Ein Anderer Hitler ever published. In the end, we completed several long chapters from the book which became thirteen individual articles in thirteen issues of The Barnes Review – a project that spanned almost three years. The last one appeared in the May-June 2011 issue. During this time, we worked together on some other projects - which will be included in this Archive – and I became familiar with his style, his foibles, and became more proficient at asking the right questions and pressing until I was satisfied we had got it right. We moved from email to using the telephone to Skype, which was the perfect communication tool for us since it left both my hands free to type as we worked out all the final knotty “questions and corrections” together. We also had a lot of fun just chatting about all kinds of things. Willi was my favorite person in all the world during these years we were friends (2008-2012) and I miss him. He was full of knowledge – historical, geographical, political, literary and cultural. What a memory he had for the classics he studied and loved in his youth! He never stopped reading and had a huge library in his home. One of his life-long habits, in which he followed after his mother, was doing crossword puzzles. On Monday mornings he got up at 5am to compete in a tough online German crossword puzzle and usually ended up in at least 10th place. His mind was very sharp. Willi was a “keeper” of things that held a sentimental value for him, so after he reached 90 he was faced with the task of deciding what to do with much of what had to do with National Socialism. His family was not sympathetic, but only tolerant (except for one grandson). We discussed the problem, as I have things too that I don't want to be tossed out. In the end, even though I did not ask for it, Willi mailed me some of his treasure trove on the basis that he could not think of anyone better. I was pleased and honored, but worried about it until the solution appeared to me to save it online. So here it is. I've done the best I could, with a lot of help from my site administrator William Finck. I hope you will get to know Willi, his life and times, better through this archive, and he will continue to exert his wise and gentle influence on future generations.